. :Why do I do this?:. Idk why but Kathy is a type of character to take a lot of photo's and that also counts for funny photo's. 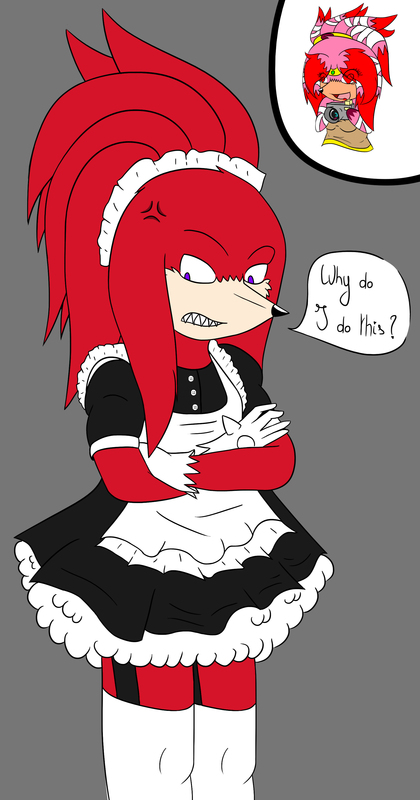 So better way to make Knuxie wear a maid outfit. I always love seeing this play out in my head I3.